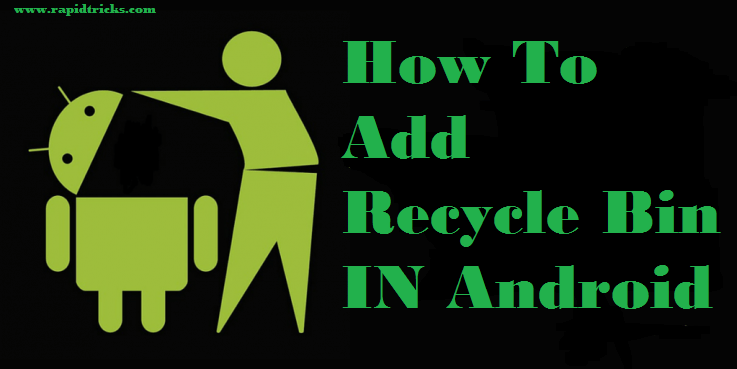 Today we are going to share an cool trick on how to add recycle bin in android smart phones. 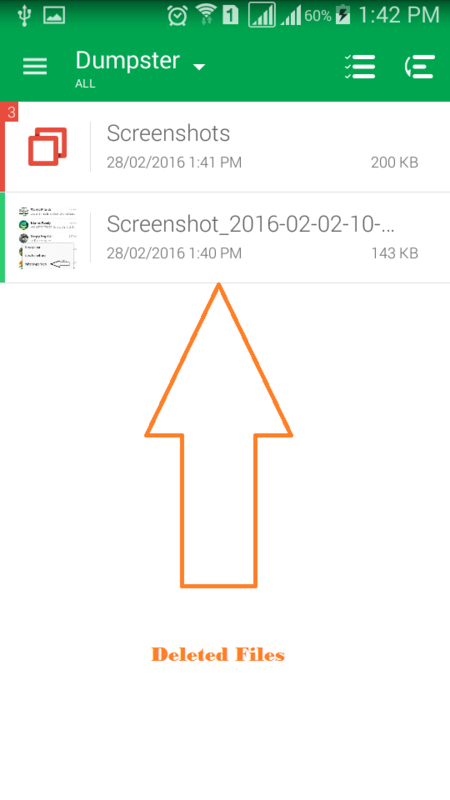 By using this cool trick, you can easily add an recycle bin feature in your android and it will help you to recover unwanted deleted files. In case of computer, when you delete a file mistakenly then you have an option to recover it from recycle bin. So you don’t have fear to loss any file accidentally because it can be recovered from recycle bin. So this is the advantage of having recycle bin in your personal computer, but in case of android if you delete a file then it can not be recovered without rooting your phone. So today we are going to tell you “How to add recycle bin in android“, by which you can recover deleted files from android recycle bin. To add an recycle bin feature in your android device, you just need to install “Dumpster” application and follow the steps given below. First of all let’s have a look on “Dumpster Features”. Restore deleted pictures, music files, Videos and almost any file type (pdf, mp3, doc, avi, mp4, jpg, png, rar, ogg, txt and many more. Preview Deleted photos, videos and audio files before recovery. 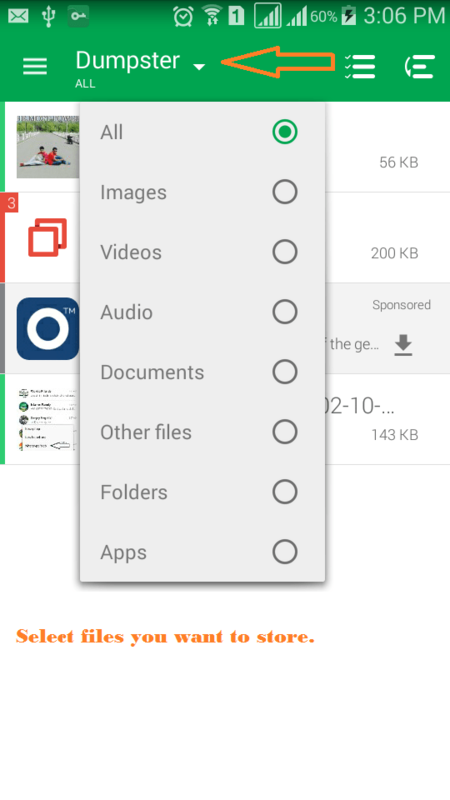 Restore backup files with single tap. Send files to Dumpster using “share” or “send to” from any file manager or gallery application. Protect your privacy with a special lock screen and access restriction. Scheduled auto clean of old deleted items. 2. Now open it, here you will see the introduction pictures (check screenshots), you can also skip the intro. 3. Now on “main screen” you will have a drop down menu “Dumpster” by which you can select which type of file you want to store in Dumpster. 4. Now whenever you delete any File, it will automatically save in dumpster recycle bin. 4. Here you can recover it or you can click on “empty dumpster” to permanently delete the files. 5. You can also customize the settings according to your requirements. 6. Now your recycle bin is ready for your android device. 7. Congrats, you have successfully add Recycle Bin In Android. If you want to unlock all the features of the application, remove the ads then you can upgrade to premium version. So that is how you can easily create recycle bin for your android device, the application given above is one of the best application to save your deleted data without Root. You can recover any file you have delete by mistake and also you can choose which file you want to store in dumpster. Share the trick with your friends, enjoy the cool application on your android device and Add Recycle Bin In Android with simple steps.